Spring is springing, and never more so than in the new April issue! 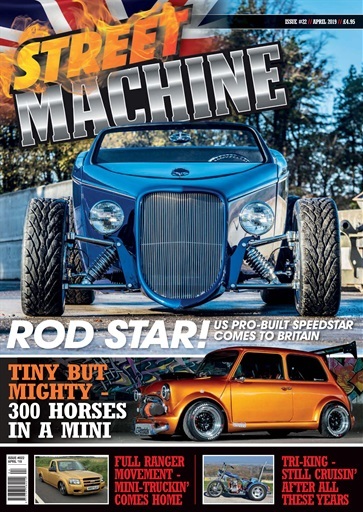 We're starting with a gorgeous, high-tech, pro-built dream rod, a mean and roofless '33 Ford Speedstar. If that doesn't get your sap rising, maybe you'd prefer a nice, classic Mini? Lovely, though this one has more than 300hp at the front wheels thanks to a screaming Honda turbo motor. Looking to bring the Mini-Truck scene back into bloom is this Ford Ranger, a full-on body-dropped, hydraulic-suspended show truck... that's also a daily-driver! And we take a look at a VW-powered trike, built in the Seventies, that's still owned and driven by the builder! We catch up with some of the early-season shows and cruises, talk with the UK's latest Top Fuel pilot, and bust our knuckles down at the workshop to get our cars ready for show season. 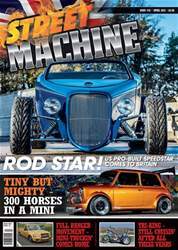 All this, and much more, is in the April issue of Street Machine, out now!